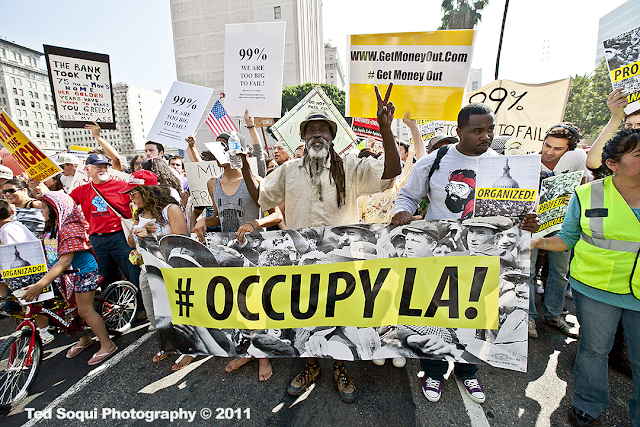 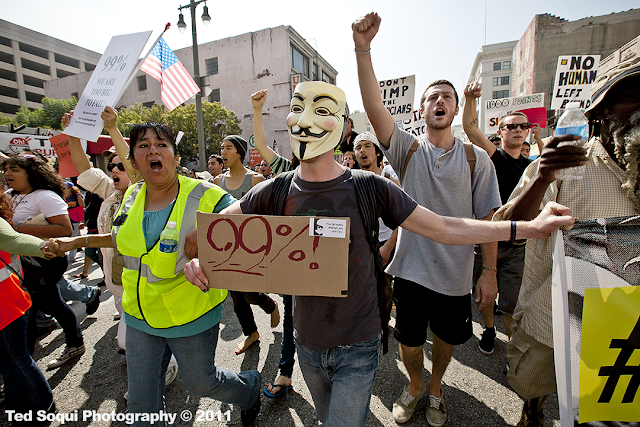 Four years ago, Occupy LA set up camp at city hall. Then city councilman Eric Garcetti welcomed them to stay as long as they like and that the city will support the cause. 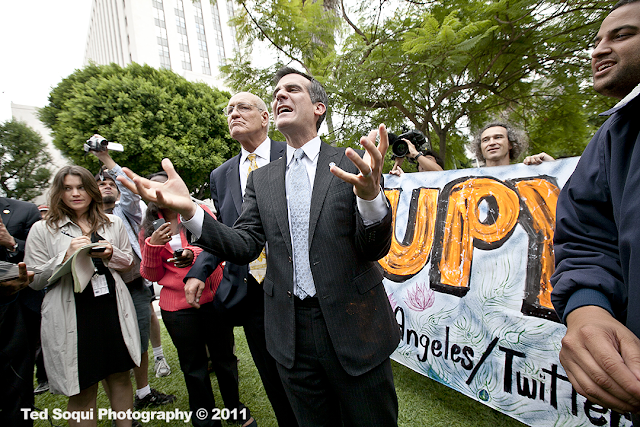 Two months later, hundreds of LAPD would forcible remove the occupiers from the city hall grounds. 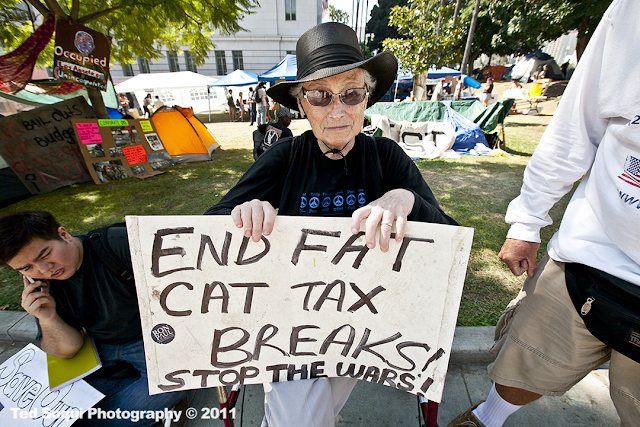 83 year old Lucy Horowitz, occupier. Labels: City Hall, LA, LAPD, Occupy L.A.